Virtual reality (VR) and Augmented reality (AR) technologies, which seemed futuristic not too long ago, are no longer just for video games. Their use is rapidly developing within the fields of industry, health, transportation, and numerous other fields. Evolving teaching methods has always been a priority at ECAM Lyon. The School aims to offer programs that closely resemble the reality of business while adapting to new learning methods. ECAM Lyon teaching teams have been working for months on creating teaching modules using VR and AR. The factory of the future will heavily use these immersive technologies, and lab work in VR will allow engineering students to discover and master innovations that will soon be part of their work environment. 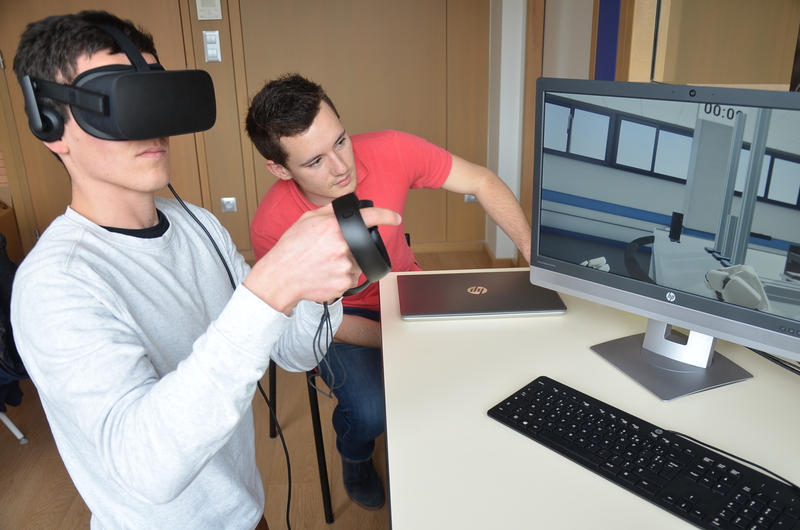 Working with wanadev, a company specialized in this sector; teams of final-year engineering students and ECAM Lyon professors will develop VR learning material that will be used for the 2018-2019 school year. Scientific and technical instruction at ECAM Lyon is based on theoretical courses completed by hands-on scientific testing. Using VR and AR is a new experiential approach that lets students better retain subject knowledge.